The brown bears of Katmai National Park in Alaska have it pretty good this time of year. The wild salmon spawn in August, September and October. For brown bears who feast on the fish to store up fat for the winter, that's good news. Habitat loss and human conflict have threatened many bear populations, and Katmai National Park is one in a chain of national parks that are critical to protecting them. 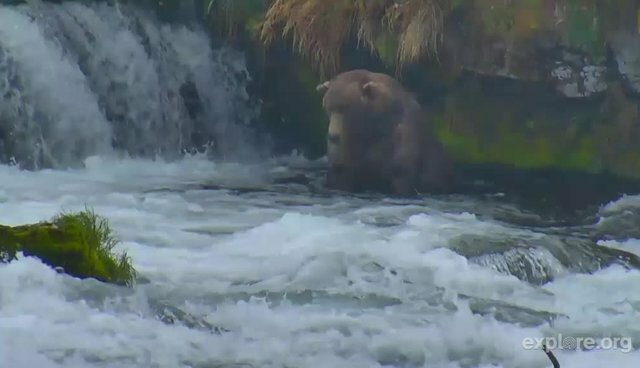 What you are watching: Brown bears in Katmai National Park, Alaska. Best viewing hours: 6 a.m. - 12 a.m. (Alaska Daylight Time). If the video is not live, click here to view other Explore.org livestreams.